If you don’t have a filing system for your tax records, you should start one. It can be as simple as saving receipts in a shoebox, or more complex like creating folders or spreadsheets. It’s always a good idea to save tax-related receipts and records. Keeping good records now will save time and help you file a complete and accurate tax return next year. If you plan to give to charity, consider donating before the year ends. That way you can claim your contribution as an itemized deduction for 2013. This includes donations you charge to a credit card by Dec. 31, even if you don’t pay the bill until 2014. A gift by check also counts for 2013 as long as you mail it in December. Remember that you must give to a qualified charity to claim a tax deduction. 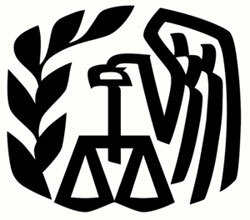 Use the IRS Select Check tool at IRS.gov to see if an organization is qualified. Make sure to save your receipts. You must have a written record for all donations of money in order to claim a deduction. Special rules apply to several types of property, including clothing or household items, cars and boats. For more about these rules see Publication 526, Charitable Contributions. If you are age 70½ or over, the qualified charitable distribution allows you to make tax-free transfers from your IRAs to charity. You can give up to $100,000 per year from your IRA to an eligible charity, and exclude the amount from gross income. You can use the excluded amount to satisfy any required minimum distributions that you must otherwise receive from your IRAs in 2013. This benefit is available even if you do not itemize deductions. This special provision is set to expire at the end of 2013. See Publication 590, Individual Retirement Arrangements (IRAs), for more information. You need to contribute to your 401(k) or similar retirement plan by Dec. 31 to count for 2013. On the other hand, you have until April 15, 2014, to set up a new IRA or add money to an existing IRA and still have it count for 2013. The Saver’s Credit, also known as the Retirement Savings Contribution Credit, helps low- and moderate-income workers in two ways. It helps people save for retirement and earn a special tax credit. Eligible workers who contribute to IRAs, 401(k)s or similar workplace retirement plans can get a tax credit on their federal tax return. The maximum credit is up to $1,000, $2,000 for married couples. Other deductions and credits may reduce or eliminate the amount you can claim.